Since 1997 drivers were fighting for the championship in the legendary Skoda Octavia Cup for 13 years. The new Skoda Octavia Cup 2016 is following footsteps of its predecessors' tradition. Organiser is guaranteeing at least 4 year-long project. 5 races take place in Hungary, CZ, Germany and Slovakia. The organizer Benet Automotive s.r.o is aware of the high performance and quality of Öhlins and homologated only our suspensions for participating cars. All drivers are starting on trackday proven Road and Track dampers featuring the unique dual-flow valve "DFV-technology". DFV provides great grip and traction under every racing condition. You´ll find more information about the unique Dual Flow Valve here. Drivers fighting not only for points but also for money until the 10th place. Through qualification and good results in minor race series young talents get the chance through a special support program to start at Skoda Octavia Cup (OC). Further information you´ll find in the presentation attached. 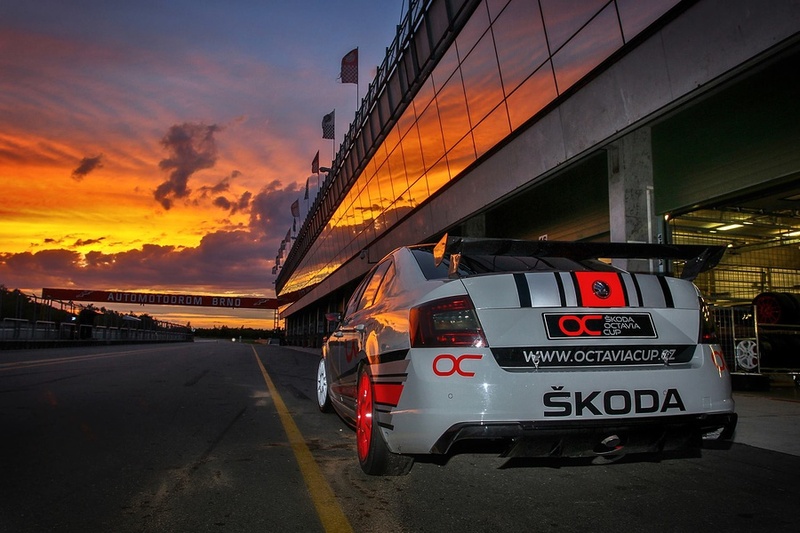 Öhlins wishes good luck for the new edition of Skoda Octavia Cup.